C.A. Confidential: Irie Boat Cruise aboard the Yankee Lady III, Toronto, ON - Sun June 24th! 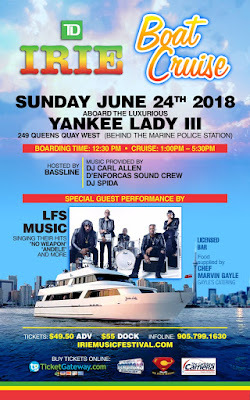 Irie Boat Cruise aboard the Yankee Lady III, Toronto, ON - Sun June 24th!